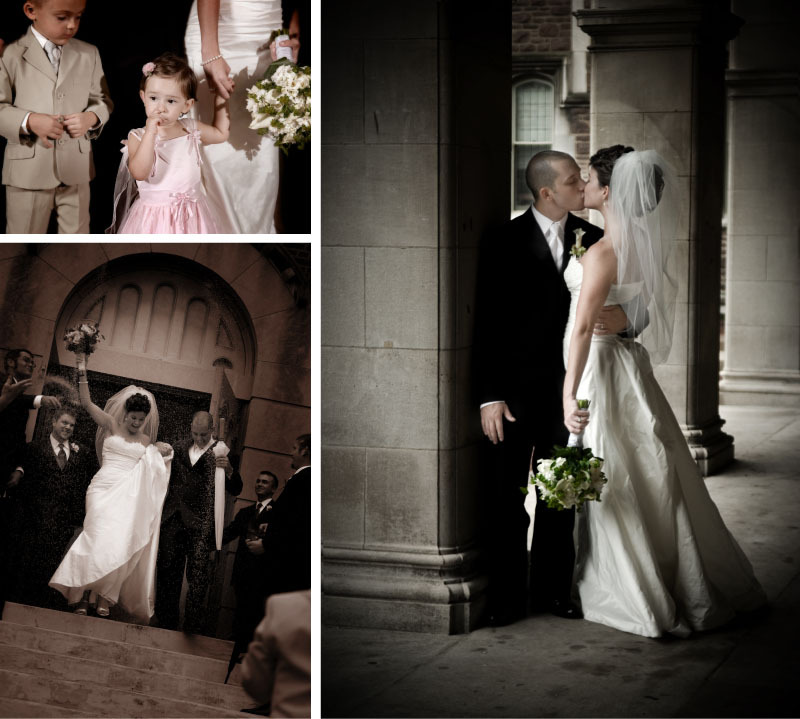 What a great time I had shooting Bonnie & Brad’s wedding in St. Louis Missouri. Often times there are photographers that don’t know how to handle weddings in the rain but not only am I happy to have been prepared but it was a pleasure shooting with a bride that was willing to follow my lead for a successful wedding shoot! We went everywhere throughout the city of St. Louis for these wedding photos and the whole day created an AMAZING storybook. 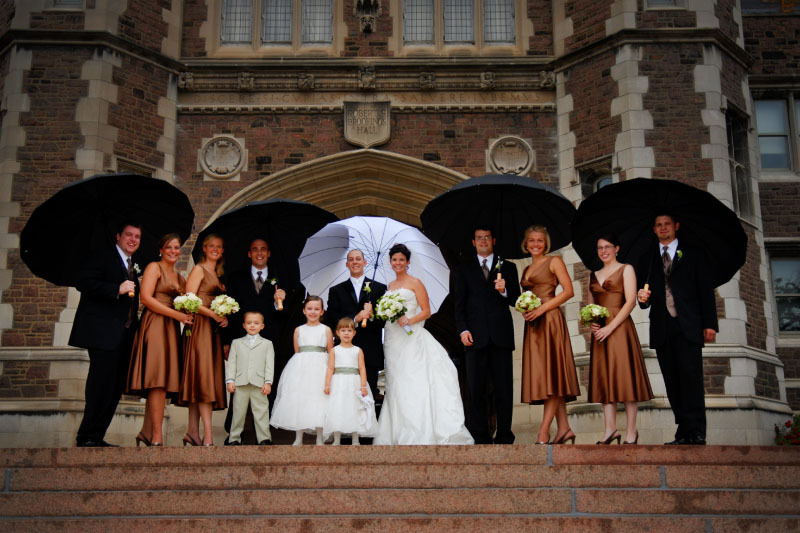 Although I wont be putting the entire day on this blog post, I am sharing some of the photos from Trinity Presbyterian Church, Forest Park, Kiener Plaza and Washington University. Besides just the rain we ran into some interesting challenges not the least was over a half dozen other limos at each location often filled with unhappy brides who did not have cooperative photographers helping them make the best of their days so we had to spend a lot of creative time in different locations. Either way, you’d never know it looking at the wedding storybook album but it makes for great stories between all of us now days! 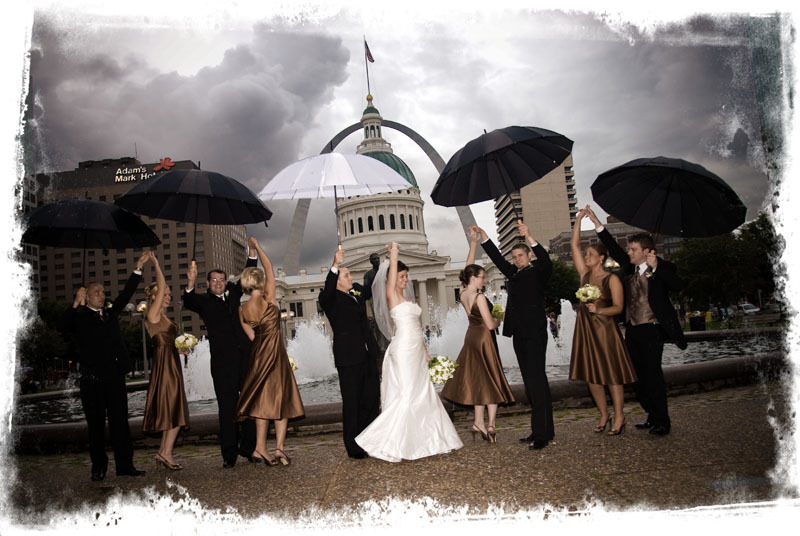 Two of the best known photos from Bonnie and Brad’s wedding was probably the two above including the shot of Bonnie with her little flower girls in Forest Park and our dramatic wedding photo of Bonnie and Brad standing in Kiener Plaza in front of the fountain, State Capital, and St. Louis Arch in the rain. We literally had 6 other wedding parties watching us through the windows of their limos and two photographers came out to ask if they could borrow my umbrellas. At the end of the night we went outside the Renaissance Grand Hotel to get some fantastic cigar shots and when the girls heard they wanted their own closing shot but I wanted something just a bit more Vanity Fair! Every location Bonnie brought me created AMAZING wedding portraits and made this one of my best all time destination weddings!